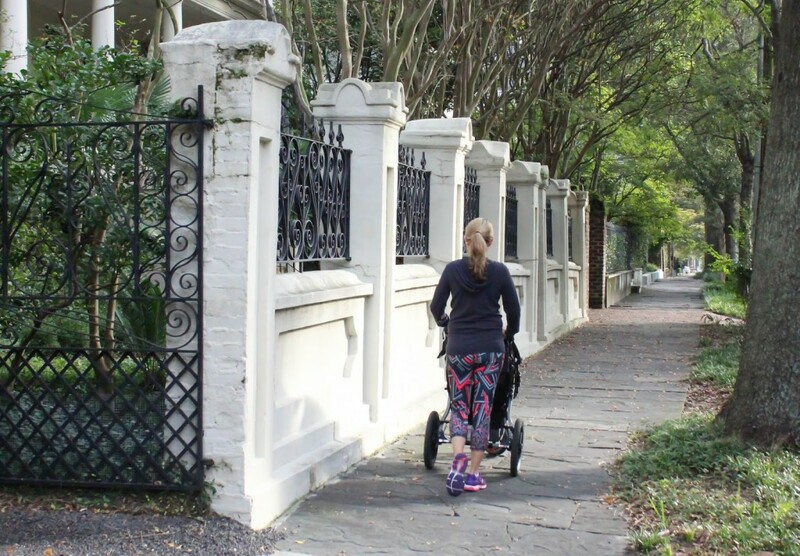 We’ve been traveling a good bit lately (trying to squeeze it in before we are homebound for a while), and one of my favorite things to do while traveling is take morning runs and explore wherever we are. 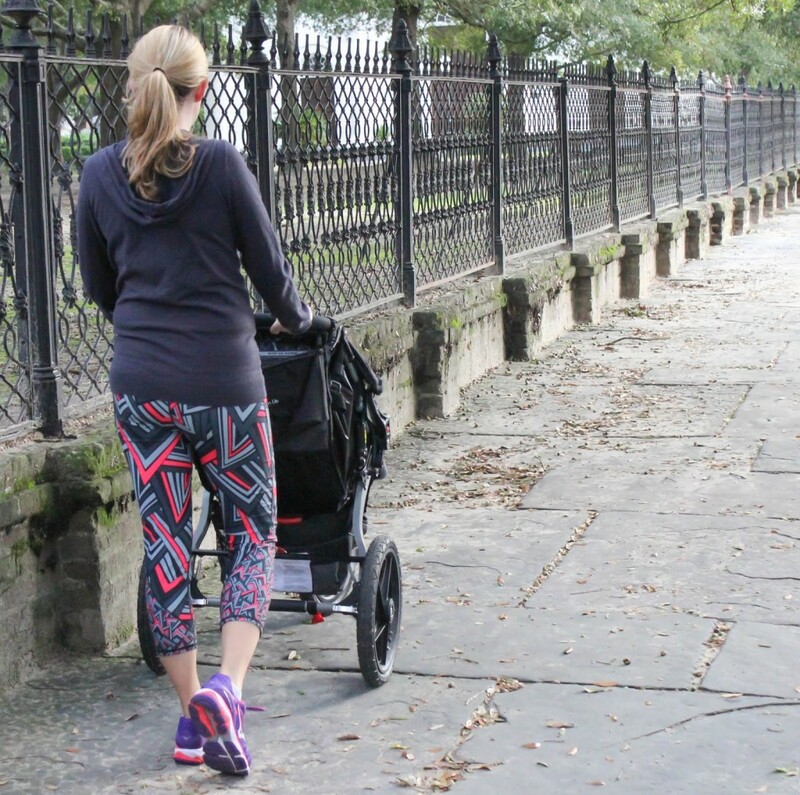 I’ve talked a good bit on my blog about how I’ve been really trying to keep up with running this pregnancy (fun fact: as of today I’m definitely in the third trimester) and running while traveling definitely helps motivate me to keep it up. Clearly I’m having to adjust some of my workout clothes for my belly, which hasn’t actually been too big of an issue. I can still fit in regular workout crops fine, and can fit in certain tops – I just look for longer ones or purchase a size up. I prefer this to buying anything that’s specifically maternity, because who wants to wear maternity when they aren’t pregnant and I want the workout clothes I’m ordering to last me longer than just a couple months. That’s why I’m loving this outfit from Fabletics. The capris fit perfectly and I know I’ll where them post-baby as well. Plus I love having a fun print – plain black gets boring after a while. They are super comfy and there’s no problem with them starting to fall down during runs. And this hoodie is super comfy, fits over my belly great, it helps that it’s a stretchy material, and I can throw on with just about anything, whether I”m going for a run or just running errands. Overall these are great pieces that have amazing prices – I look forward to ordering more from Fabletics in the future! I’m also really loving the Mizuno Wave Inspire 12’s. 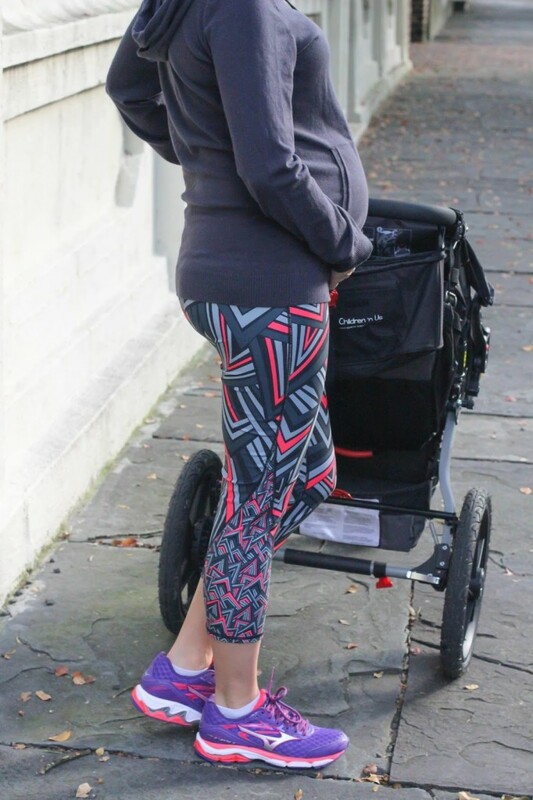 I’ve posted about these several times on my Instagram – but not only are they fun colors but they offer awesome support and cushioning, which is what a pregnant girl really needs when she attempts to go on runs. Where are your go to places to buy workout clothes? Cute outfit! Way to rock that bump! I've heard of Fabletics, but haven't tried it yet. I usually find cute workout stuff (Nike, Reebok, Zella, etc.) at Nordstrom Rack. You look fantastic! You look SO good! I love the outfit 🙂 You are totally killing it!! I keep reading about this company. They must be a good one! 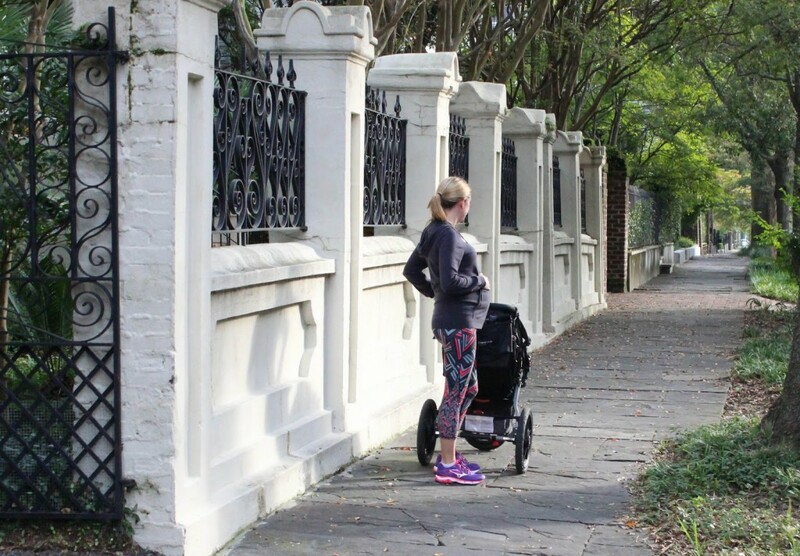 But way to keep up the running route all the way to the third trimester!! That's awesome. I love those workout pants! Fun workout clothes motivate me to hit the gym more often.